"Imperfection is beauty, madness is genius and it's better to be absolutely ridiculous than absolutely boring. When it comes down to it, I let them think what they want. If they care enough to bother with what I do, then I'm already better than them anyways." And If I find a way to fund this maybe in 2018 or one day later since they liked a large courbisme painting on Instagram and kindly wrote me to see conditions and invited me to apply to exhib. 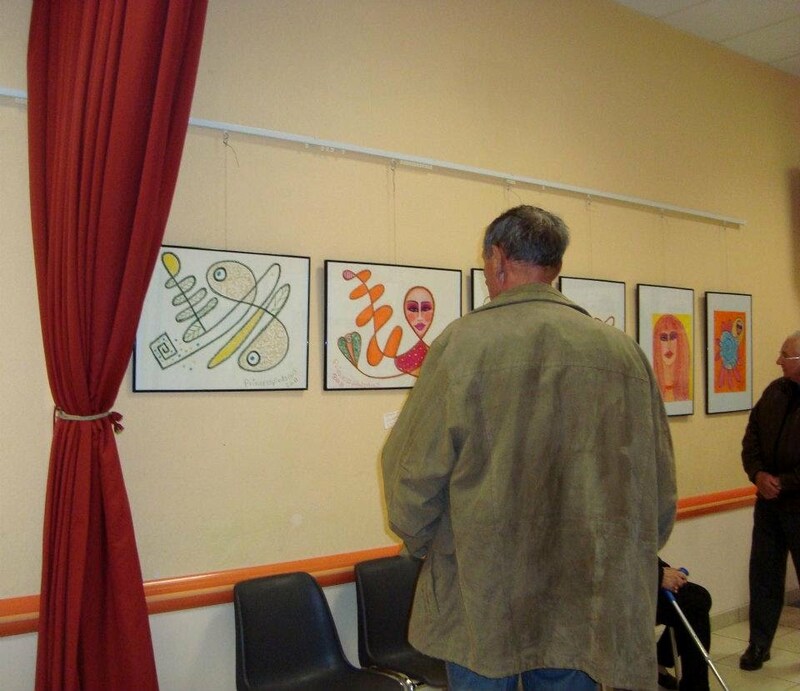 2012 - Vernissage in a little art salon in south of France. Nevertheless, I create... That's the most important. Parisian galerists (like the one who wrote me "Very good work !!" when I dared to contact him to have an opinion...) ask too much money just to hang paintings on their walls (and not talking about the hudge % in case of a sale....) so, I prefer to exhib for free or nearly for now in little Art Salons around, theaters etc. Then, one day, when "raidy", shall apply in a foreign countries or here in France but where Art galerists ask money on sales but not few months of salary just to show an artists' work. I might for instance exhib in a little art gallery in Sorèze one day as the owner wrote me very kind words after he saw my first courbismes and did add: "Imposez votre art ! " (plus, he's not asking too much ;) until then, possible to visit this site or see my work at home with a rendez-vous.